Along the same lines of furniture re-do's to make a house a home, Melissa decided that it was an absolute must to figure out a creative way to organize her jewelry. 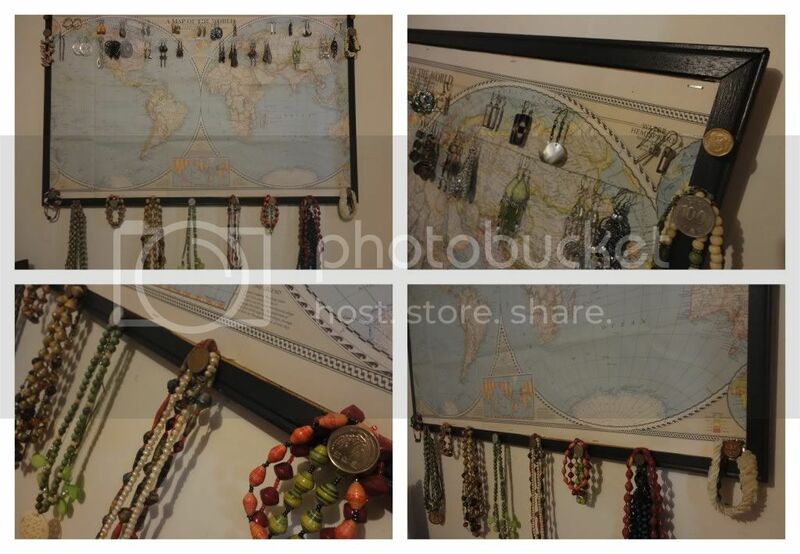 Wanting a system that was not only eye-catching and organized, Melissa wanted the whole piece to reflect her love of traveling and her addiction to purchasing new earrings, bracelets and necklaces while in foreign lands. 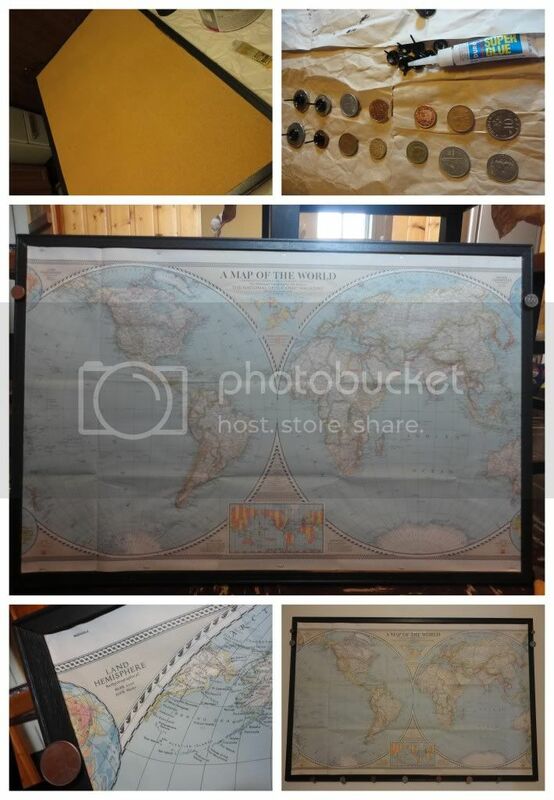 And there you have a DIY, over sized jewelry organization system!